Many historians have examined the French labor movement, but few have gone beyond chronicling unions, strikes, and personalities to undertake a concrete analysis of workers’ aims in their historical context. 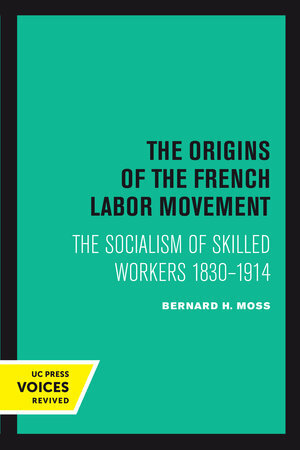 Searching for what Marx called the “real movement” of the working class, Bernard H. Moss presents a sophisticated revisionist interpretation that uncovers a core ideology of social vision underlying the many changes and variations in French socialism. To define this ideology and delineate its social base, Moss cuts through conventional distinctions between artisans and proletarians and between anarchism and socialism to derive an intermediate category, the federalist trade socialism of skilled workers. Originally manifested in the trade movement for producers’ associations and cooperatives, this socialism eventually found revolutionary expression in Bakuninism, possibilism, Allemanism, and revolutionary syndicalism. The social base of this movement was the skilled craftsmen undergoing a process of proletarianization. 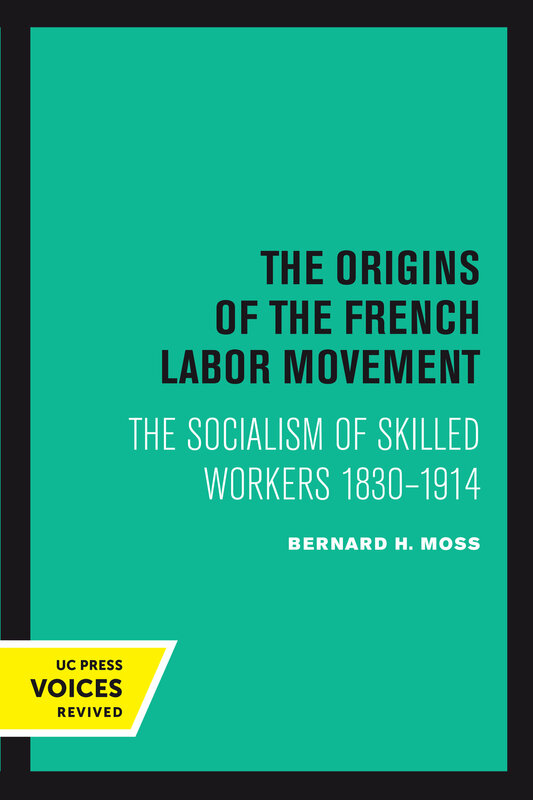 In The Origins of the French Labor Movement, Moss rehabilitates ideology both as a vital force in history and as a serious subject for scientific history. He proposes important revisions in our understanding of French politics and society in the nineteenth century and suggests a new approach to socialist ideology, not as abstract theory, but as the result of historical experience and process. This title is part of UC Press's Voices Revived program, which commemorates University of California Press’s mission to seek out and cultivate the brightest minds and give them voice, reach, and impact. Drawing on a backlist dating to 1893, Voices Revived makes high-quality, peer-reviewed scholarship accessible once again using print-on-demand technology. This title was originally published in 1976. At the time of original publication, Bernard H. Moss was a member of the History Department at the University of Southern California.